Health Benefits of Red Onions - Something New Everyday! 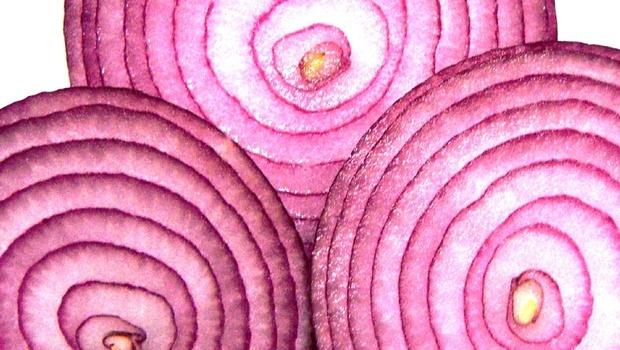 The humble red onion could be the answer to reducing bad cholesterol. It is usually overlooked in preference for the larger, more flavoursome white variety. 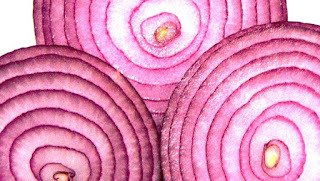 But the humble red onion could help prevent heart disease, researchers claim. They have discovered that the vegetable - commonly used in Mediterranean and Indian cuisine - helps remove bad cholesterol from the body, which can cause heart attacks and strokes. Scientists in Hong Kong fed crushed-up red onions to hamsters who had all been put on a high-cholesterol diet. They found that after eight weeks levels of bad cholesterol, or low density lipoprotein (LDL), had dropped by an average of 20 per cent. But over the same time period there was no reduction in the hamsters' high cholesterol levels, also known as high density lipoprotein (HDL). Zhen Yu Chen, who was in charge of the research carried out at the Chinese University of Hong Kong said: 'Despite extensive research on onions, little is known of how their consumption interacts with human genes and proteins involved in cholesterol metabolism within the body. 'Our study was therefore undertaken to characterise the interaction of onions with enzymes in an attempt to explore the underlying cholesterol-lowering mechanism. 'This study is the first of its kind to investigate the interaction of red onions with biological functions. 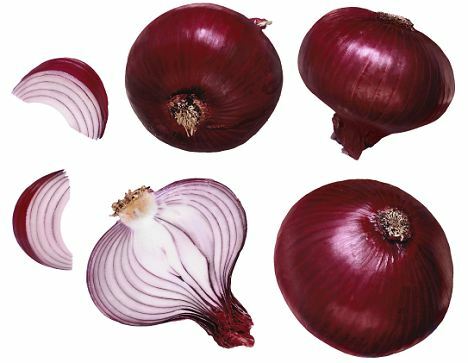 Although white onions are by far the most popular type in Britain, red onions are widely used in India, the Mediterranean and the Middle East. They are far sweeter than the white variety, and are often used raw in salads. Red onion marmalade, made by cooking onions with vingegar and sugar, has recently become popular in Britain an alternative to chutney served with cheese or cold meat. Onions have long been known to have many health benefits including preventing cancer, heart disease and common coughs and colds. Some parts of the world where onion consumption is high have even been shown to have much lower cancer rates. For example in Georgia, the US, where the small, sweet Videlia onion is grown the number of stomach cancer diagnoses are a half the average for the rest of the cancer. In China, where people eat more onions and garlic than anywhere else in the world, the risk of stomach cancer is 40 per cent lower than average.